For mothers who are reeling from the rockiness of an ever-changing adolescent, or struggling with a relationship that's deteriorating by the day, here is encouragement, reassurance, and great advice. "I'm Not Mad, I Just Hate You!" 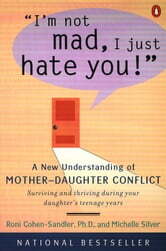 discusses the social, emotional, cultural, and psychological issues that can lead to mother-daughter conflicts. It offers illuminating and very recognizable case studies, and demonstrates how mother-daughter friction during adolescence can actually empower girls by teaching them invaluable skills. 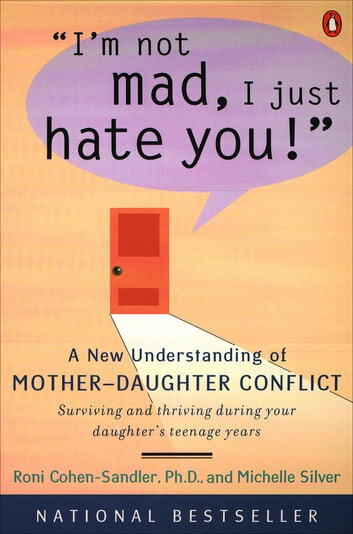 By providing mothers with much-needed encouragement and practical strategies to help their daughters grow into emotionally healthy and capable adults, "I'm Not Mad, I Just Hate You!" can transform the tempestuous teenage years into years of positive, enriching growth. Books related to I'm Not Mad, I Just Hate You!